Reggie Lambert (Audrey Hepburn) returns home after a skiing trip to discover that her husband has died. 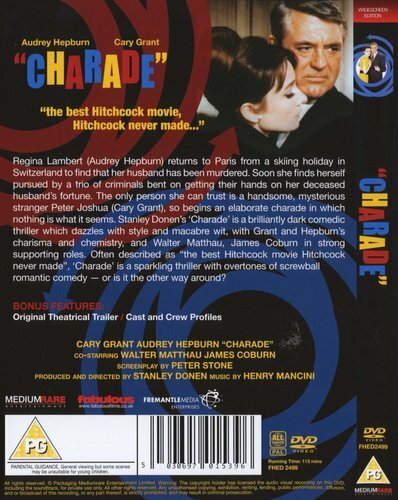 At the funeral she finds out from CIA agent Hamilton Bartholomew (Walter Matthau) that her husband was involved in the theft of a quarter of a million dollars during World War Two. 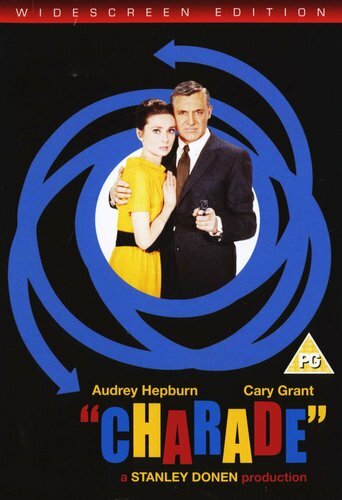 The charming Peter Joshua (Cary Grant) offers his help, but as the number of dead bodies increases so do Peter's aliases, and Reggie becomes uncertain whether or not she can trust him.